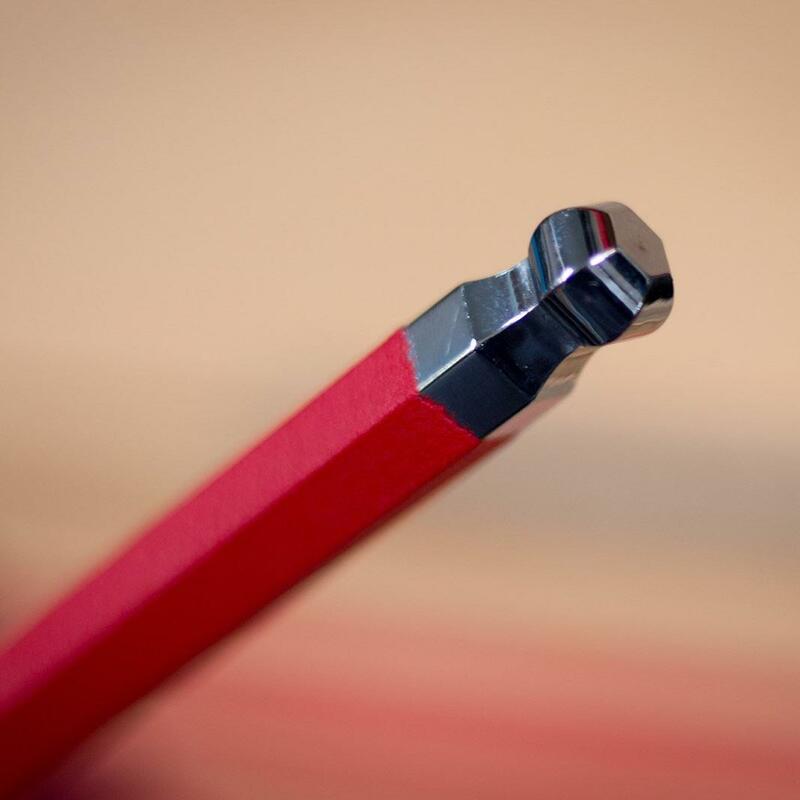 Few tools are used as frequently, and can cause as much heartache or wasted time as the seemingly simple hex (Allen) key. 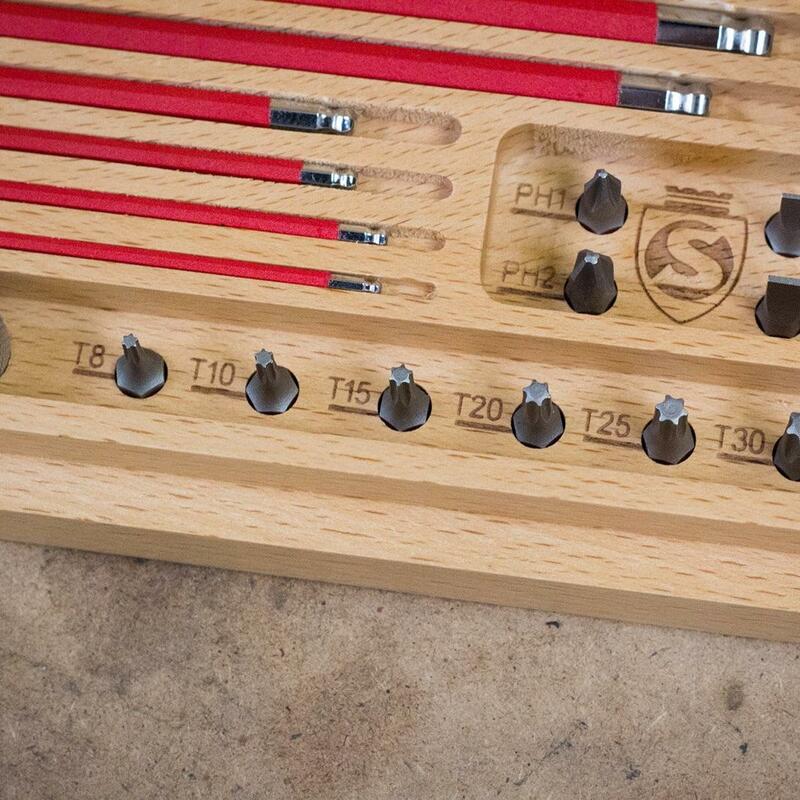 It's one of the first things you notice at the top levels of motorsport tools, or in the toolboxes of Pro-Tour mechanics: extremely high quality hex keys. 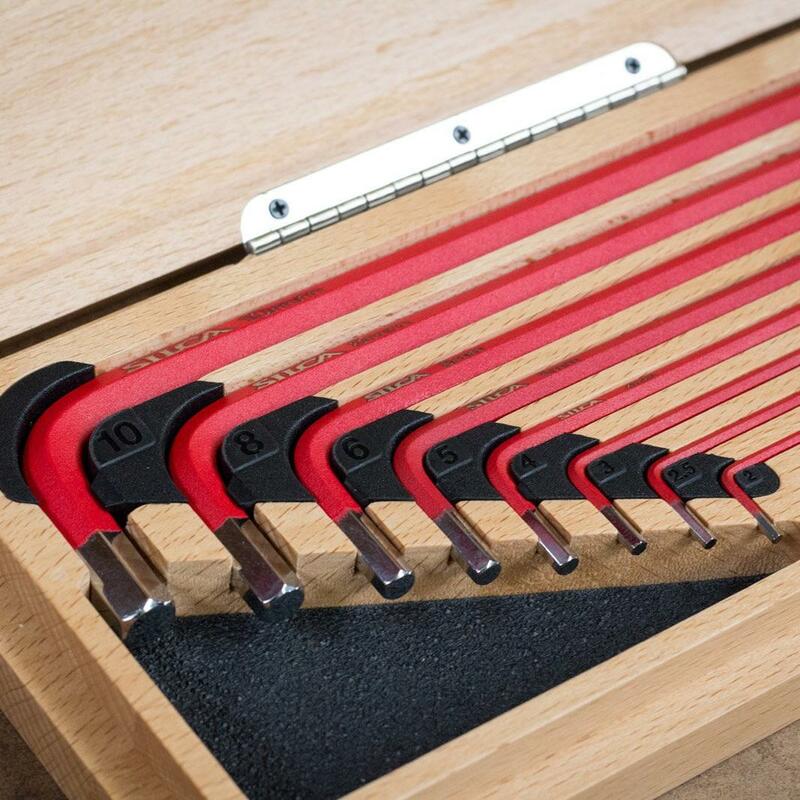 The reasoning is simple, better tool fit leads to better feel and confidence for the mechanic as well as a significant reduction in the likelihood of damaging exotic fasteners made from Titanium or Aluminium. "One of our goals with this lifetime set of tools was to have it be completely one-hand accessible (we've all been there..). 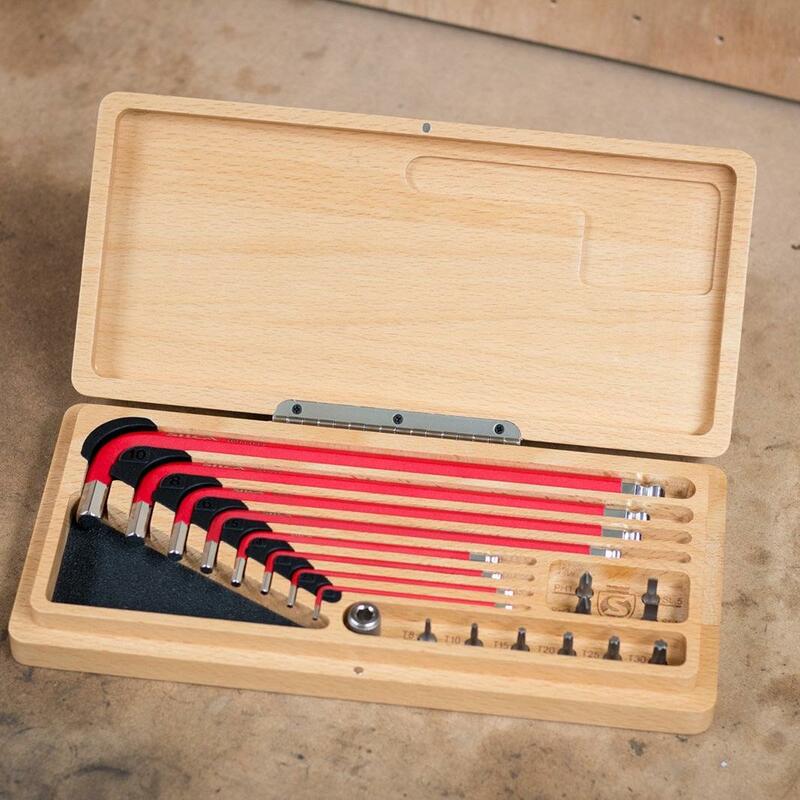 The fine Beechwood box uses a magnetic closure system and each tool rests in a CNC machined slot, held in place by a single elastomeric tab. 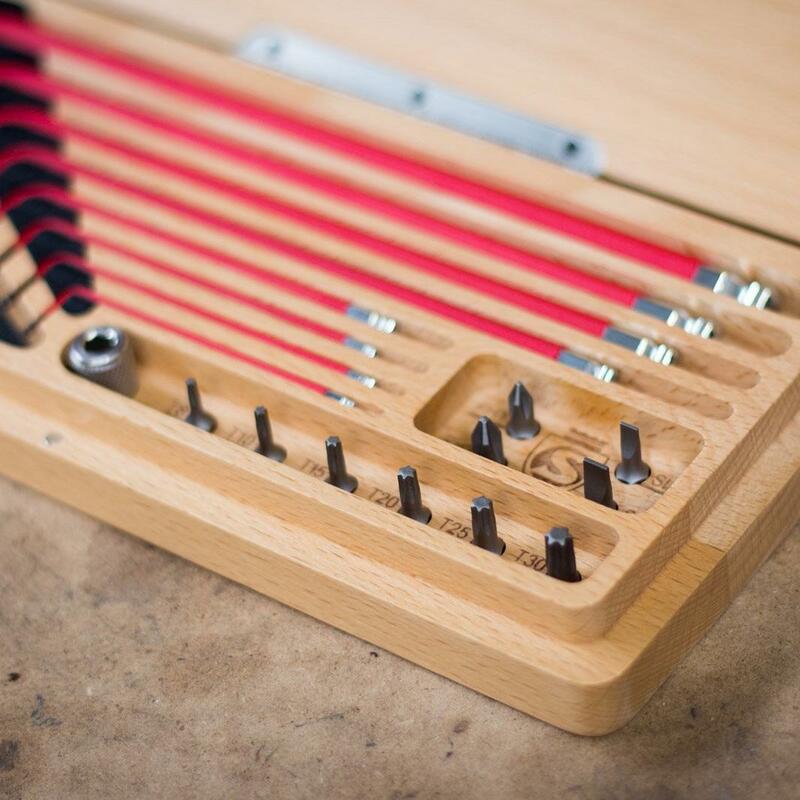 Each tool fits into and out of it's slot with a satisfying 'click' so that even when stretched one-handed from work stand to workbench, you can be confident in your placement. 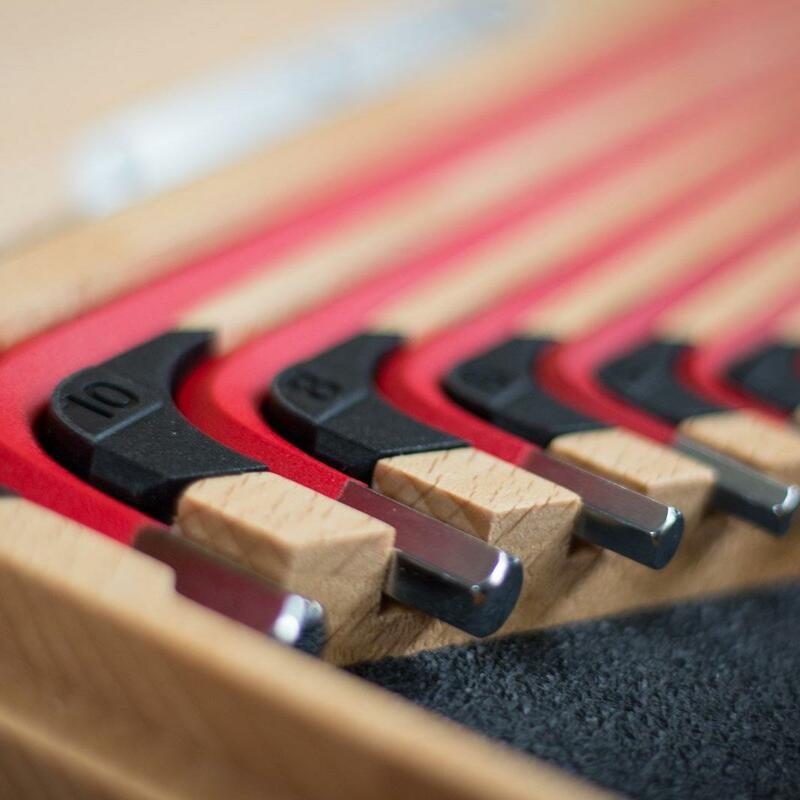 For the HX-One we had to start with the finest S-2 Tool Steel, a shock resistant steel which has been refined by Swiss and German toolmakers for the optimal balance of strength, hardness, shock resistance and dimensional control. 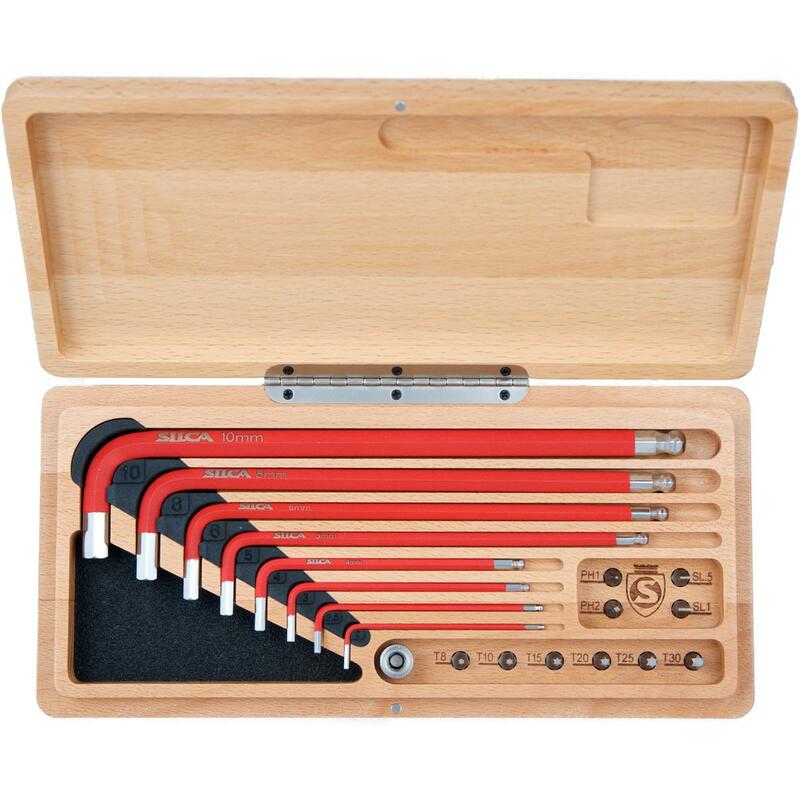 S-2 yields stronger tools with much harder surfaces for prolonged tool AND fastener life. The keys are then coated with thin-dense Chrome, a process generally reserved for mould tool components or optical grade surfaces inside moulding tools. 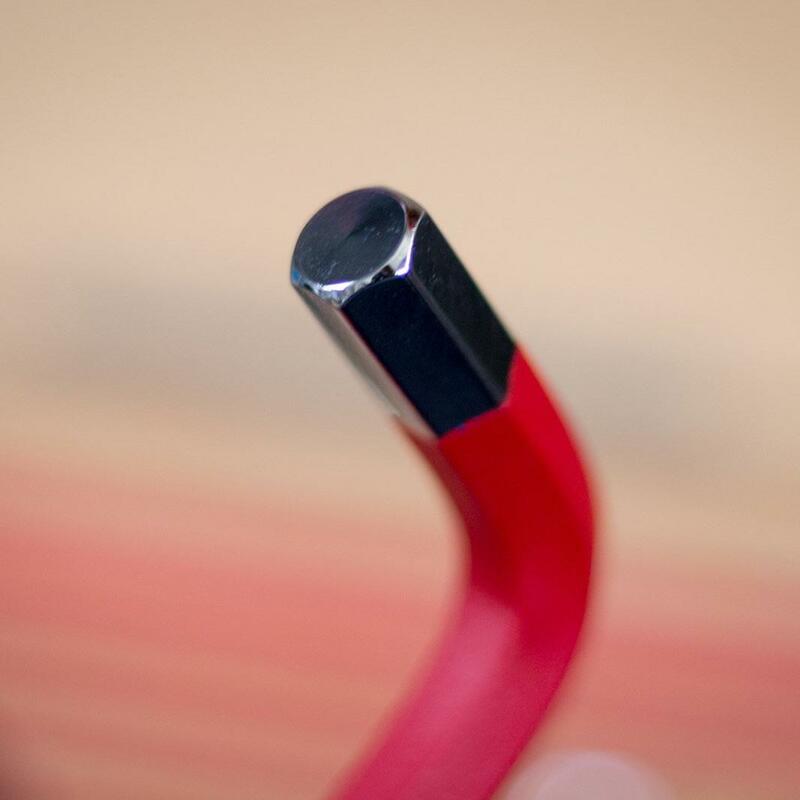 This coating provides the hardest, most dimensionally stable finish possible on each hex key. Finally, each tool is spray coated with a high-grip, high-visibility textured polymer finish for maximum grip and control. 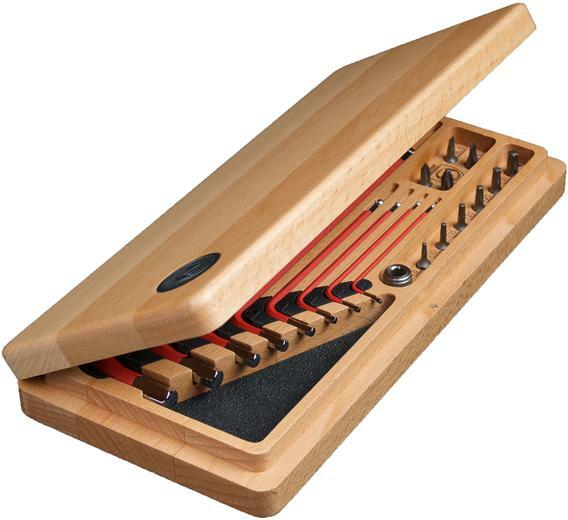 No more dropping your tools with greasy fingers or losing them on your workbench! 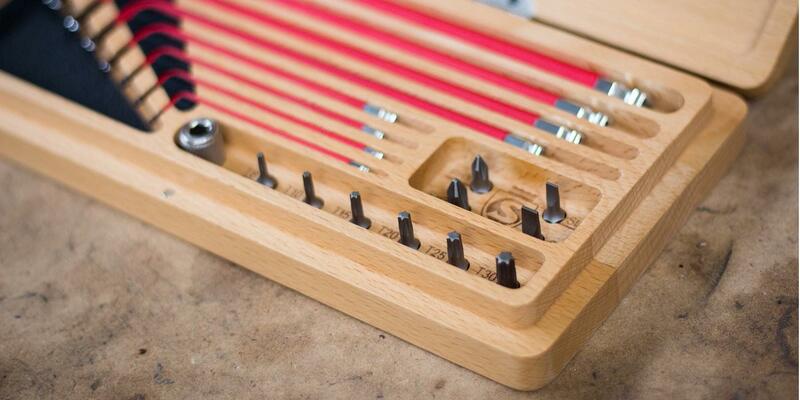 Each HX-One kit is lovingly packed into a fully CNC machined box made from sustainable Beech Wood. 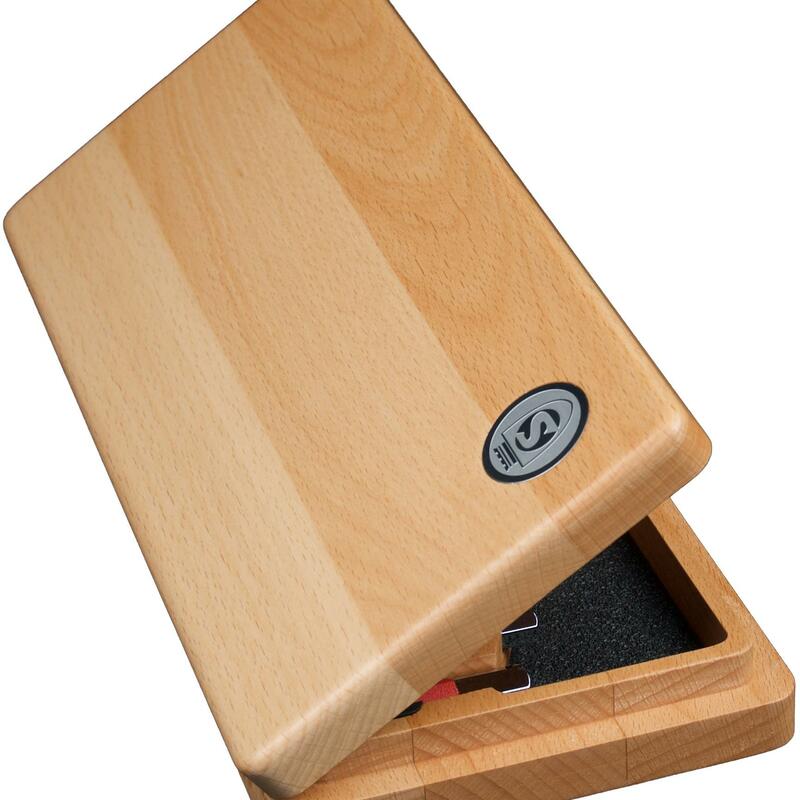 Each box is hand sanded and finished before receiving the stainless steel SILCA Shield on the lid."